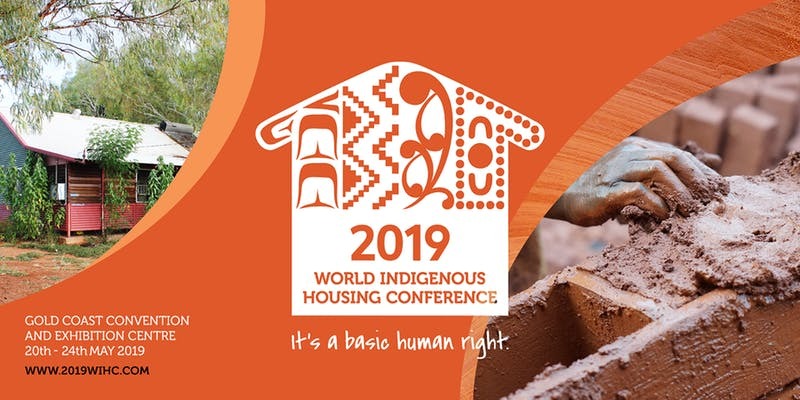 ← NACCHO Aboriginal Health and #Housing #SocialDeterminants @2019wihc News : @AIHW report Our #housing situation of #IndigenousAustralians has improved – with rises in #homeownership and housing provided through the private rental market, and falling levels of #homelessness. 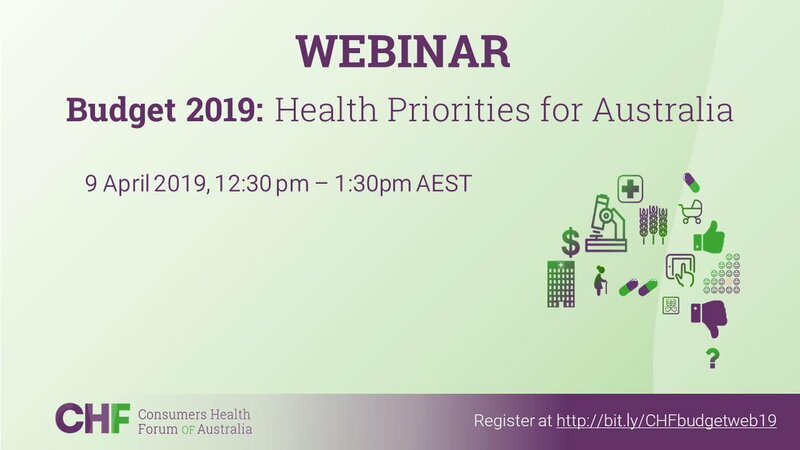 9 April Webinar : What will #Budget2019 mean for health consumers? 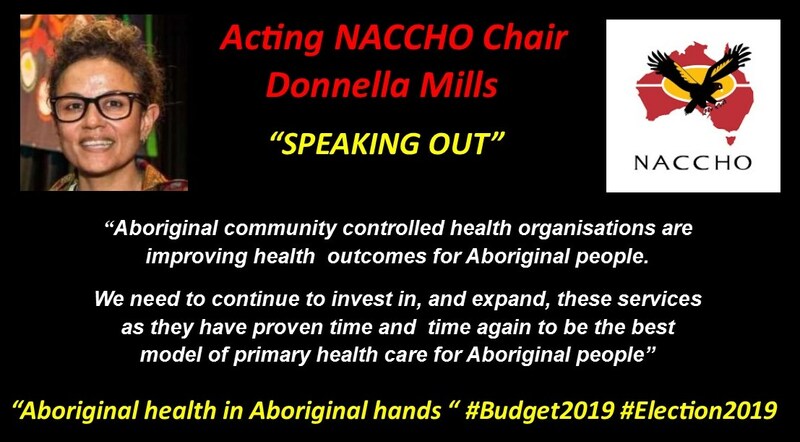 “Aboriginal community controlled health organisations (ACCHO’S ) are improving health outcomes for Aboriginal and Torres Strait Islander people. 3 and 4 April Webinar ‘Privacy obligations post-opt out for My Health Record – Healthcare organisations’. The Australian Digital Health Agency will be holding the following national webinar, ‘Privacy obligations post-opt out for My Health Record – Healthcare organisations’. Do you work within a GP clinic, Community Pharmacy, Public or Private Hospital? 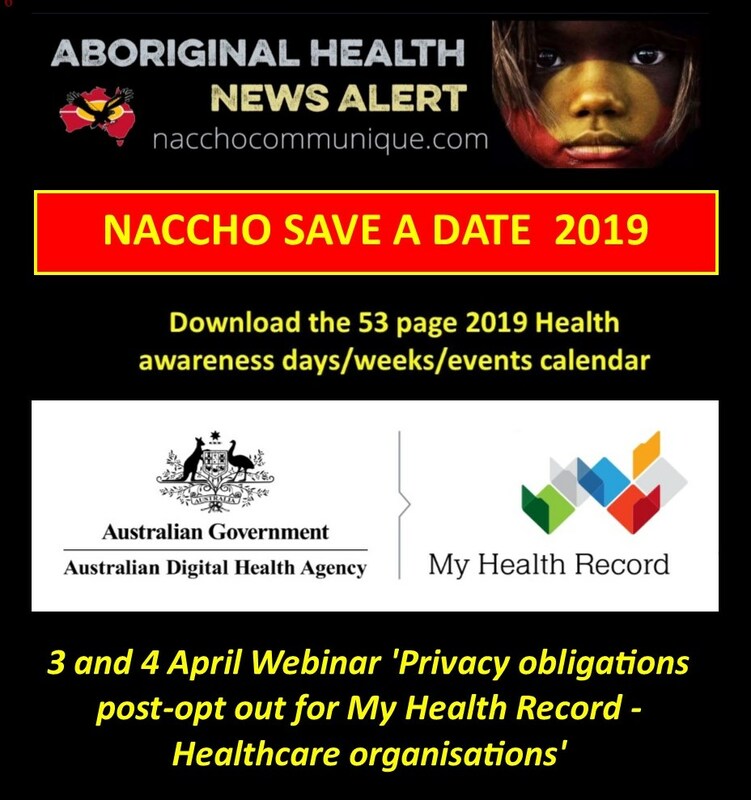 Is your organisation registered for My Health Record? If you have answered ‘yes’ to either of these questions this webinar will be a must attend. Where: Online (join via your computer – register beforehand. Please note, registrations close 24hrs prior to each webinar event. Presentation slides will be made available following the event to individuals who have registered to attend the webinar. 9 April What will #Budget2019 mean for health consumers? What will #Budget2019 mean for health consumers? Join us next Tuesday for our webinar to learn more. A night of celebrating excellence and action – the Gala Dinner is the premier national networking event in Aboriginal and Torres Strait Islander allied health. 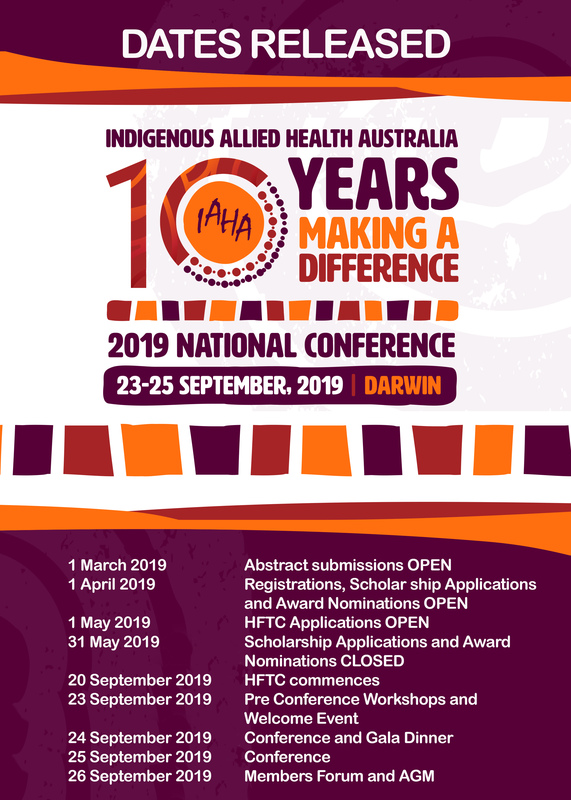 The purpose of the IAHA National Indigenous Allied Health Awards is to recognise the contribution of IAHA members to their profession and/or improving the health and wellbeing of Aboriginal and Torres Strait Islander peoples. The IAHA National Indigenous Allied Health Awards showcase the outstanding achievements in Aboriginal and Torres Strait Islander allied health and provides identifiable allied health role models to inspire all Aboriginal and Torres Strait Islander people to consider and pursue a career in allied health. The awards this year will be known as “10 for 10” to honour the 10 Year Anniversary of IAHA. We will be announcing 4 new awards in addition to the 6 existing below. Read about the categories HERE. 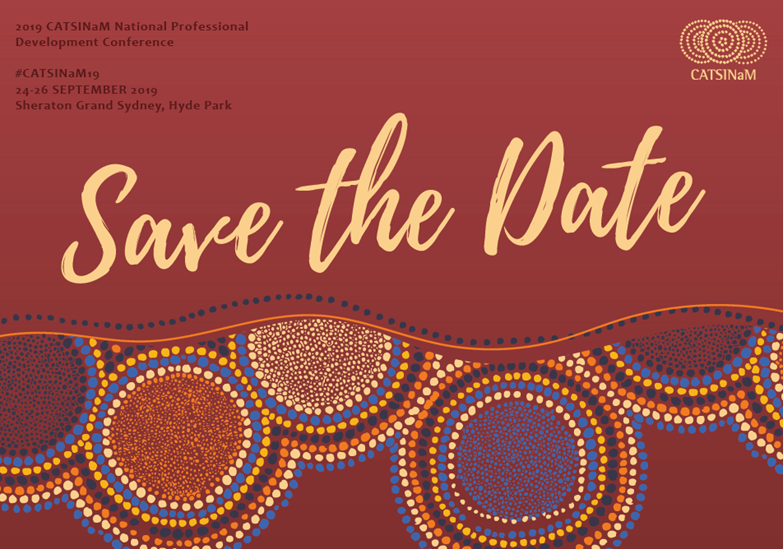 SAVE THE DATE for the 2019 NATSIHWA 10 Year Anniversary Conference!!! A Decade of Footprints, Driving Recognition!!! NATSIHWA recognises that importance of members sharing and learning from each other, and our key partners within the Health Sector. We hold a biennial conference for all NATSIHWA members to attend. 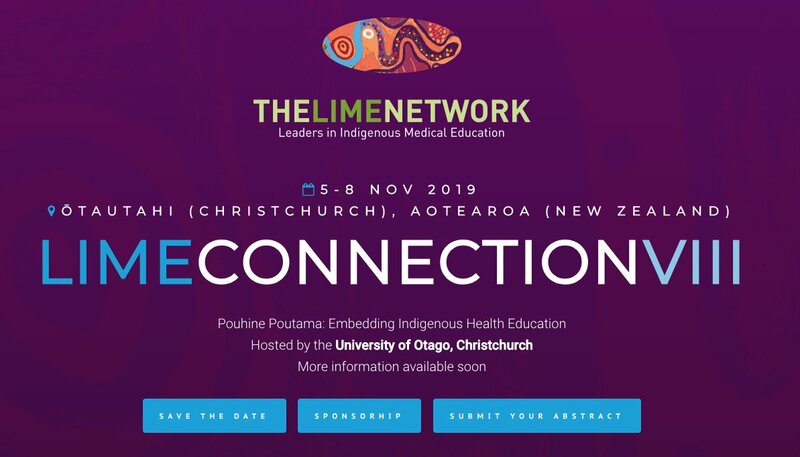 The conference content focusses on the professional support and development of the Health Workers and Health Practitioners, with key side events to support networking among attendees. We seek feedback from our Membership to make the conferences relevant to their professional needs and expectations and ensure that they are offered in accessible formats and/or locations.The conference is a time to celebrate the important contribution of Health Workers and Health Practitioners, and the Services that support this important profession. We hold the NATSIHWA Legends Award night at the conference Gala Dinner. Award categories include: Young Warrior, Health Worker Legend, Health Service Legend and Individual Champion. Watch this space for the release of more dates for registrations, award nominations etc. 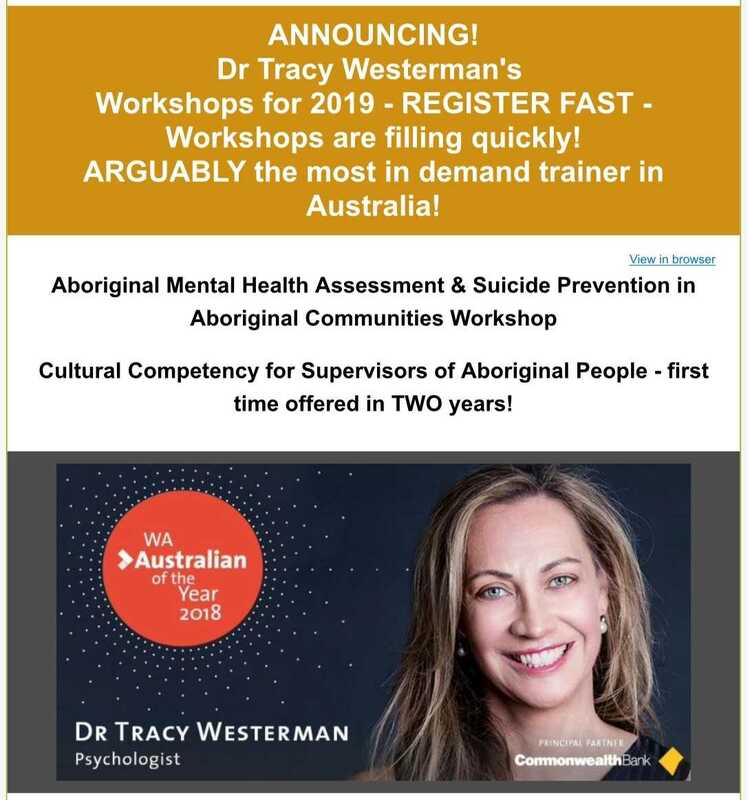 The Aboriginal & Torres Strait Islander Health Conference is an opportunity for sharing information and connecting people that are committed to reforming the practice and research of Aboriginal & Torres Strait Islander health and celebrates Aboriginal knowledge systems and strength-based approaches to improving the health outcomes of Aboriginal communities. 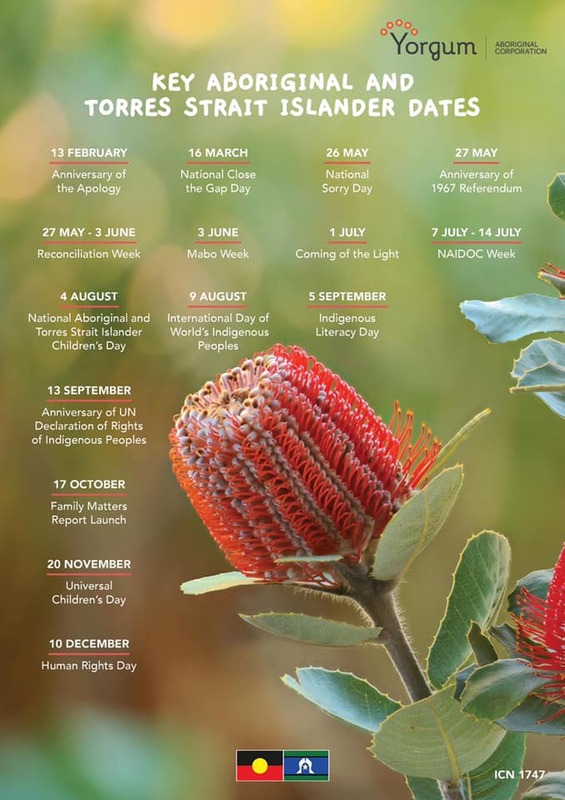 practice, Aboriginal perspectives and contribution to health or community led solutions, underpinned by cultural theories to Aboriginal and Torres Strait Islander health and wellbeing. In 2018 the Aboriginal & Torres Strait Islander Health Conference attracted over 180 delegates from across the community and state. 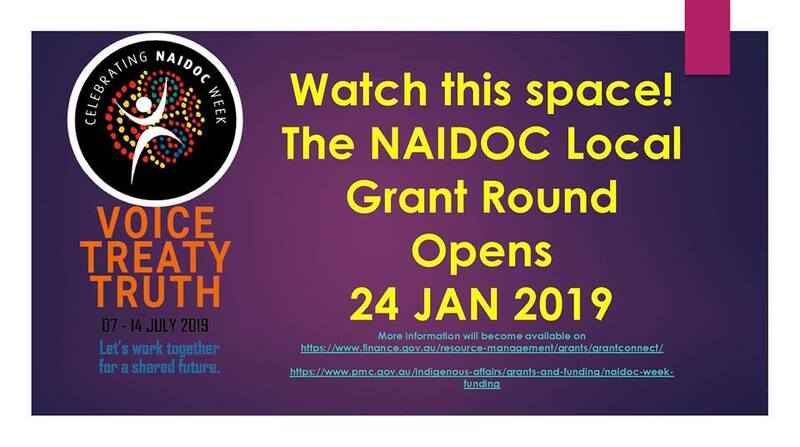 We welcome submissions from collaborators whose expertise and interests are embedded in Aboriginal health and wellbeing, and particularly presented or co-presented by Aboriginal and Torres Strait Islander people and community members. closing date for abstract submission is Friday 3 rd May 2019. 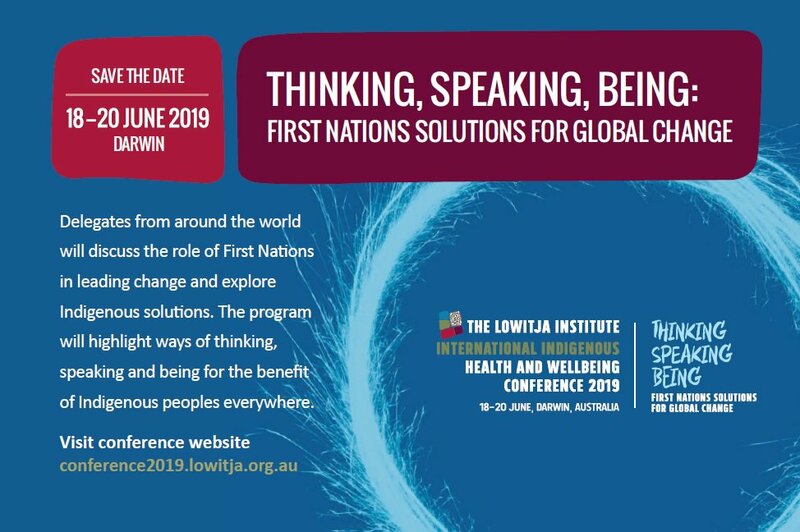 As per speaker registration link request please email your professional photo for our program or any conference enquiries to E. aboriginal-health@unimelb.edu.au.